Alaska black bears are very prolific with a high population density in many parts of the state. Several of the game management units that we hunt offer very good black bear numbers and black bear hunting opportunities. Because of the diversity of territory these bears live in and the various options we have to hunt them, we can offer several different black bear hunting packages to our hunters. First we divide the seasons generally into spring and fall. From there we offer both guided and outfitted hunts. Next, we can do fly in spot and stalk hunts, float hunts and bait station hunts. We also work with the Wounded Warrior and Healing Hearts programs to offer hunts to our nations wounded veterans. Black bear hunting can be done by spot and stalk, float hunts, or bait stations. We typically see lots of bears and the success rate is very high. We offer many different black bear hunting options so if you have a specific type of hunt you want to plan ask us and we can customize something for your hunting party. 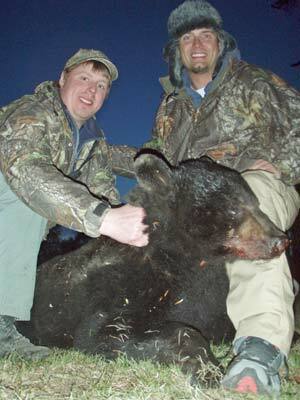 Our spring black bear hunts begin May 1st and run through the end of June. 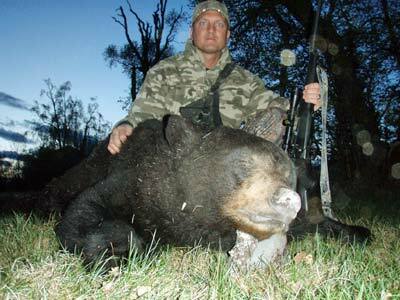 Our hunting methods vary depending on the preference of the individual hunter. Hunts can range from looking for bears as they come out of the dens to spot and stalk to floating rivers. Spring hunts often happen before leaves and vegetation grows out which means we typically see lots of black bears while glassing. These hunts can also happen in several different geographic areas. 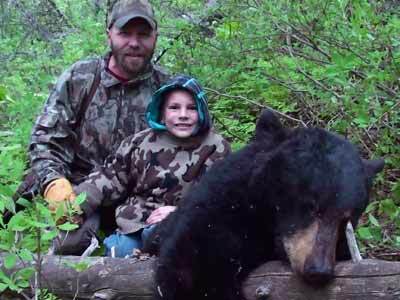 In some of our hunting areas the limit on black bears is 3 bears per person. This gives our clients a very rare opportunity to take 3 bears on 1 hunt. We position hunters in good bear areas and hunters hike out from spike camps glassing hillsides and valleys. It is true spot and stalk hunting. Hunters should be in good physical condition and be able to walk several miles a day and do some moderate uphill hiking. These hunts are done primarilly from our custom built jet powered riverboats. We hunt several different river systems that are host to large populations of bears. We will spend several hours each day turning the motor off and floating the rivers watching for bears foraging along the banks. Afternoons are spent resting or fishing for trophy Rainbow Trout and Dolly Varden. These hunts are great for the person that wants a chance to look over and examine bears before making that critical choice. Hunting over baits affords the hunter the ability to sit in tree stands and observe bear behavior. Usually this gives our clients a great chance to get photos or video of bears in a somewhat controlled environment. For this hunt we transport hunters by boat to the bait station locations. From there it is a short walk to the stand where the hunt begins. These hunts are perfect for bowhunters, for those who may not want to hike or climb long distances, and for kids who want to get that first bear. 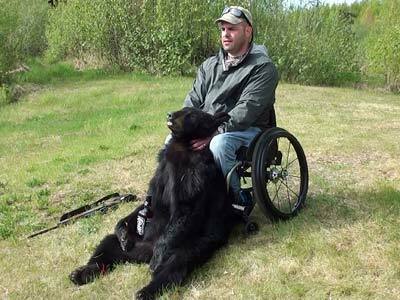 We also work with Wounded Warriors and Healing Hearts to provide hunts for our wounded veterans. 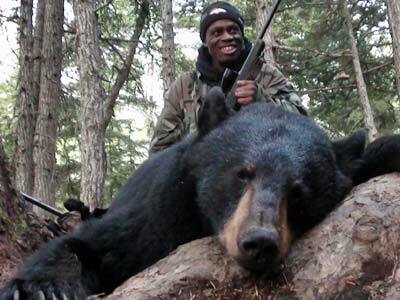 Fall black bears hunts begin August 10th and continue until the bears go in the den in late October. We offer hunts for fall black bears in two different areas, along river systems where they are congregating and feeding on salmon stocks, and inland where they are feeding on berries. The fall black bear hunts we offer along the river systems are done primarily by traveling to hunting locations by jet powered riverboats. We offer these trips as hunting / fishing combination packages where we spend the early morning and late evening hours hunting bears and our mid day hours catching trophy Alaskan rainbow trout and salmon.